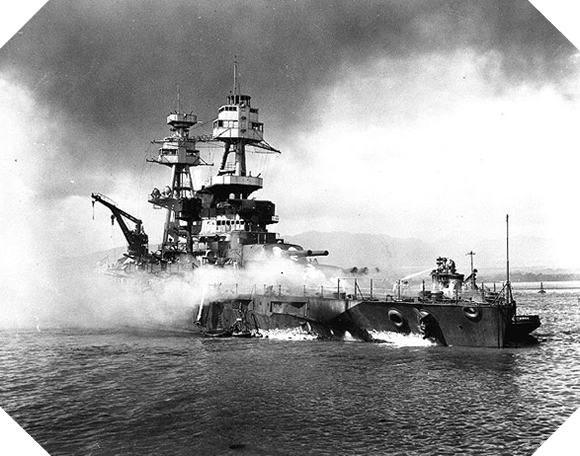 USS Nevada entered active service in the US Navy, U.S. Navy, during the First World War. With a length of 178 meters and 2,200 crew members, this building marks the entry of the United States into the yard of the great modern maritime powers. During the Interwar years, from 1928, it was modernized and received new armaments. 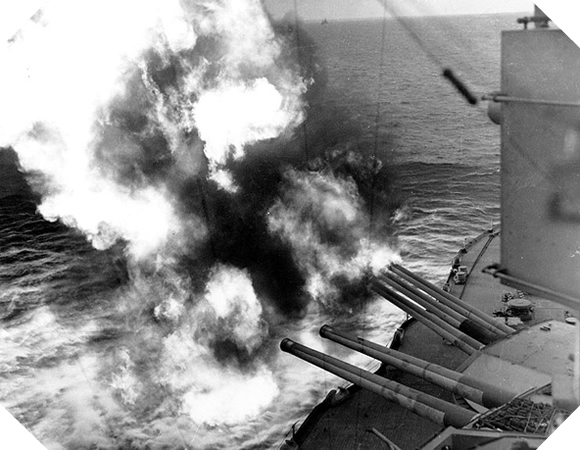 When the war broke out again in Europe and then in the world, USS Nevada was based in the Pearl Harbor archipelago where it was caught under the bombs and torpedoes of Japanese planes on December 7, 1941. Despite the numerous damage and destruction, it is bailed out and repaired. Just over two years later, in May 1943, it returned to active duty in the Pacific before being deployed to the North Atlantic where it participated in escorting sea convoys. Deployed as flagship during Operation Neptune on June 6, 1944, it participated in the protection of the U force and then in the bombardment of the Utah beach. Its shots are concentrated in particular on the batteries of Azeville and Saint-Marcouf. 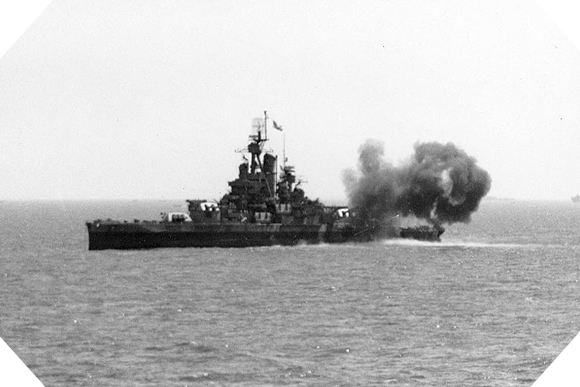 During the Battle of Normandy, USS Nevada bombarded the batteries of Cherbourg, supporting the American land forces attacking the city. After the Battle of Normandy, it participated in the support operations in the Mediterranean sea before returning to the Pacific to lead the last battles marking the end of the Second World War.